Builders can be demanding, opinionated, but usually they are right. The trouble starts when they are wrong. The disappointment starts when they make minor design changes, material substitutions, and run over budget. The biggest problem occurs when they are the person in charge of the building design process instead of the owner. 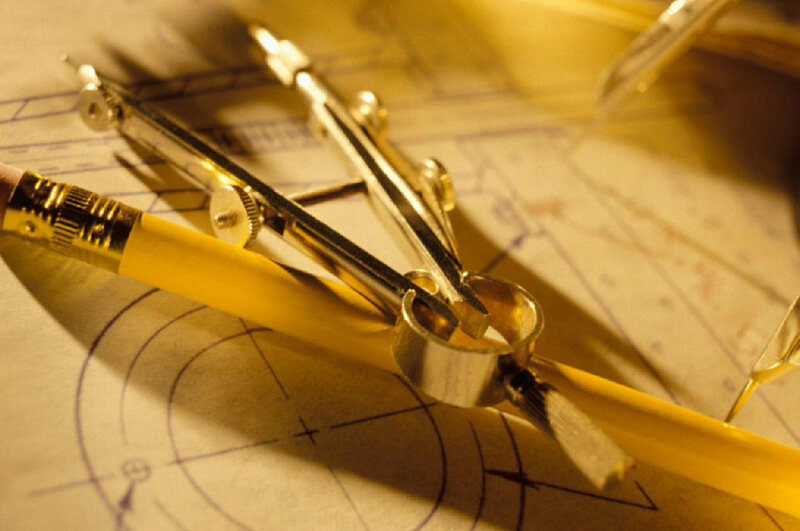 Drafting services should be under the control of the owner and responsible only to the owner. The difference in dealing with drafting services, like Drafting Concepts, who work for you instead of the builder, can be dramatic. When the builder hires the company who is drafting homes they are the ones who get to make the recommendations, suggestions, and changes. They will be highly focused on the design meeting their needs as a builder, and not necessarily your needs as the future home owner. They are thinking about the difficulty of a particular kind of staircase. They may use their concept of the number of outlets you need in each room without every asking you. 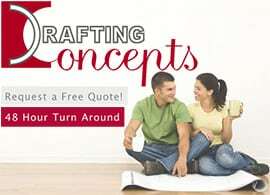 When you hire your own drafting services company those questions all come to you. 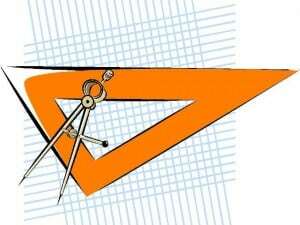 The drafting solutions they design will integrate your ideas. If you tell the drafter you love electronics and your living room will be filled with audio, video, and other home entertainment gear they will take that into consideration and add extra outlets and circuits for the area. They are going to quiz you about how you will use your home not just the location of the rooms. When Drafting Concepts sits down to discuss your ideas they will put you right in the middle of the building design process. Your ideas of how the home should look, feel, and how it will be used are the most important factors. As the building construction drawing is being created you will be asked for further input to make sure the plans will meet all of your needs and desires. 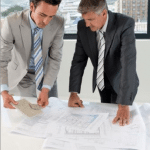 The information gathering portion of the building design process is not complete without discussing your budget. Every item which is being considered for your home needs to be evaluated as part of your overall budget. You need a design team who will tell you what is possible and what is not. Too often you sign off on plans provided by a builder and the next thing you hear is about how your changes and desires are going to raise the price. When you work with a drafting company who works for you there are less chances for surprises. They take your budget into account as the plans are being built. They keep track of the rates of the top builders throughout the Brisbane and Sunshine Coast area. Their contacts with building supply firms help them accurately estimate costs. Instead of the constant statements about “that is going to cost more”, you will have plans which have been thought through and budgeted carefully before you start. 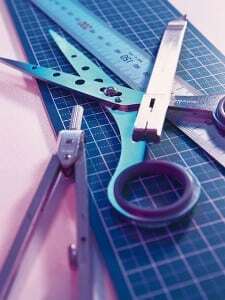 The accuracy of the plans is crucial in making sure the budget is maintained. 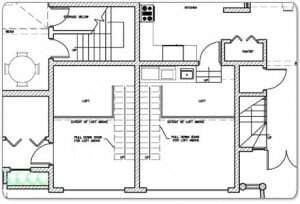 This is one of the reasons Drafting Concepts is highly focused on your participation in the building design process. 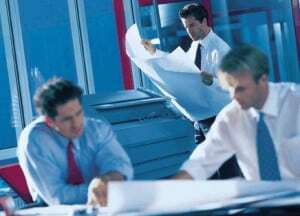 They recognize by having you involved throughout the planning phase less mistakes will happen. Your budget will be met and you might even have the delightful surprise of finishing your home under budget. Drafting services must provide accurate, complete, and appropriate plans before the first nail is driven. This is the portion of the project which in the end saves money, delays, and home owner aggravation.